Above - The Brighton Dome in 2009 - Courtesy Stephen Ashby. 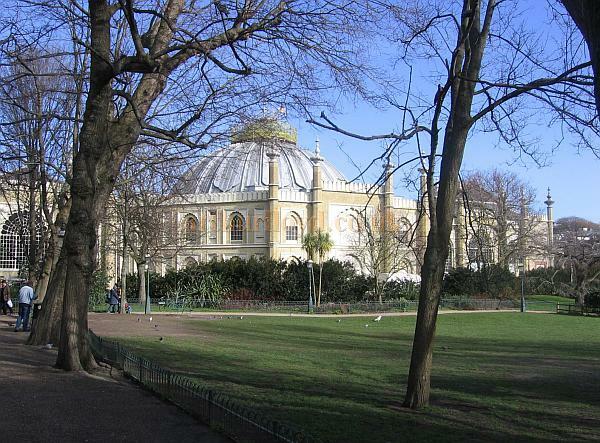 Brighton's Grade I and II Listed Dome was originally built as a stable and riding school in 1804 for the Prince Regent residing at the Brighton Pavilion, and it was the stable which was to set the style for the remodeling of the Pavilion we see today. 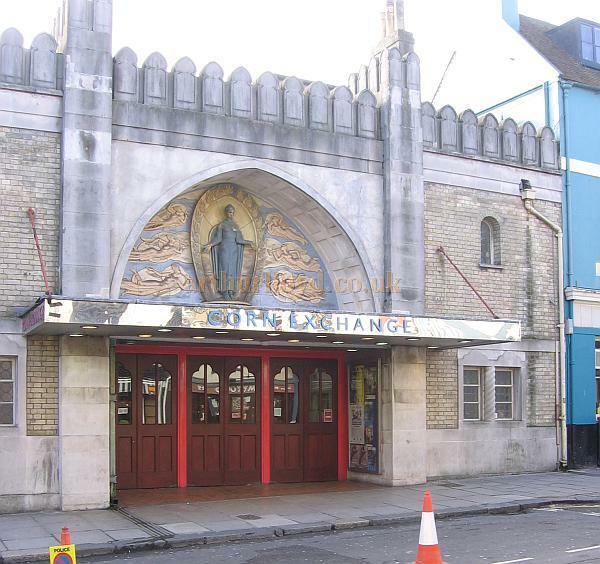 The riding school would later become the Corn Exchange. 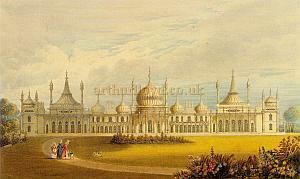 Right - John Nash's Royal Pavilion, Brighton, which was modelled on the Islamic style of the 1804 stable which is now known as the Brighton Dome. - From a postcard. ("Not For Joseph." - Thanks to Mr. S. D. Jeffs, our enterprising townsman, one of the best opportunities lately afforded for an evening's hearty enjoyment was on Tuesday last at the Royal Pavilion by Mr. Arthur Lloyd, the popular Metropolitan music-hall star. His eccentricities and singing kept the audience in a continual roar, and again and again he was encored, and when he gave his great and famous song, "Not for Joseph," the applause was really deafening. The entertainment was repeated Wednesday evening. The room was filled to repletion on each occasion. - Brighton Gazette.) - Click here for the Arthur Lloyd Song Book which this review came from. In 1867 the Dome, as it had become known since 1850, was converted into a Concert Hall. 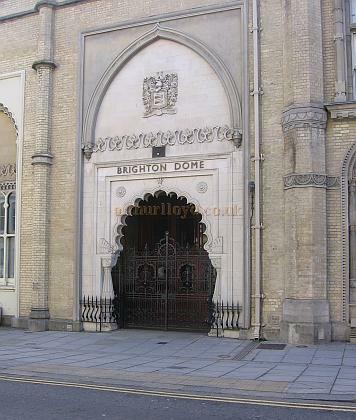 Above - The Brighton Dome and Corn Exchange which were orginally built for the Prince Regent as a Stable and Riding School - Photo Courtesy Stephen Ashby, January 2007. 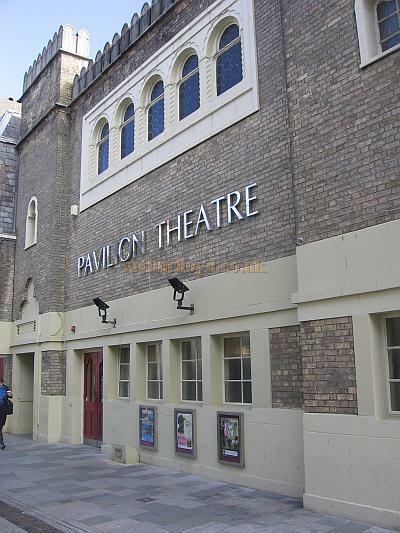 In 1935 the Concert Hall's interior was reconstructed and supper room was added which would later become the Pavilion Theatre. In 2000 the entire building was given a new lease of life when it was extensively refurbished along with the Corn Exchange and Museum. 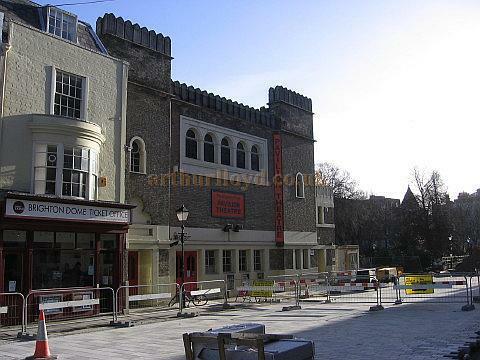 Left - The Brighton Dome Ticket Centre and Pavilion Theatre in January 2007 - Courtesy Stephen Ashby. The building now consists of a Concert Hall with a capacity of 2,102 people, a small Theatre, The Pavilion, with a capacity of 230 people, and a multi purpose space. 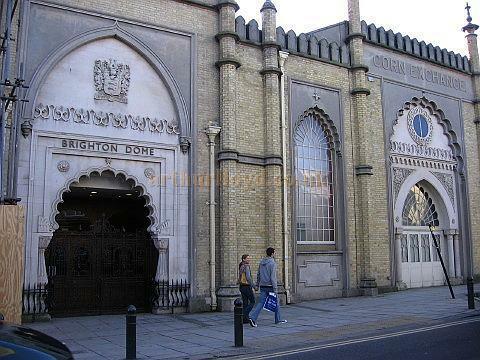 The whole complex has been owned by the Brighton Corporation since 1850 and you may like to visit the Dome's own website here. 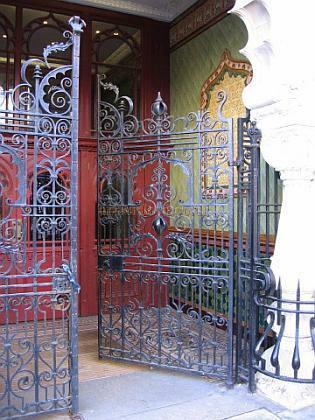 Above - A Photograph of the Pavilion Theatre's ornate entrance and a Photograph of the Brighton Dome's Entrance in 2009 - Courtesy Stephen Ashby.